What a beauty! 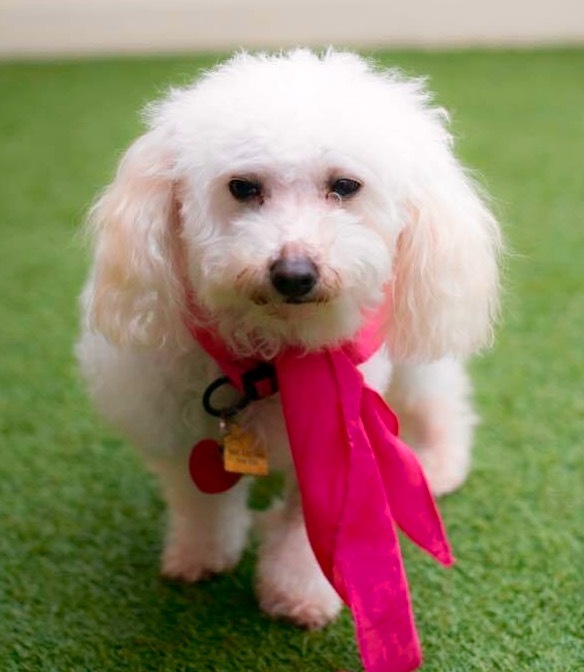 Check out sweet, stunning Kelly – an adorable 10 year-old purebred Bichon Frise. She is AKC Certified and comes to our rescue from a breeder. Kelly loves to snuggle. If you enjoy quiet nights at home watching movies on the couch, this is your soulmate! She is perfectly content just being around people and will stay by your side. Kelly is an overall happy dog who is great with cats, other dogs and children. Her current foster is working on house training so Kelly will need to continue on a schedule once adopted to ensure success.